China has a triple track trademark protection system. Trademark administrative litigation can be brought to challenge the validity or registrability of trademarks, while civil and criminal actions are available against trademark infringement. The Trademark Law is the core legal basis for trademark protection. The latest amended Trademark Law and its implementing regulation entered into effect on 1 May 2014. It clarifies the scope of protection of the exclusive right of registered trademarks and provides a certain degree of protection to unregistered trademarks when prior use and fame is proven. The Anti-unfair Competition Law is frequently cited and provides fall-back protection for trademark rights, especially unregistered commercial marks. The latest Anti-unfair Competition Law came into effect on 1 January 2018 and requires that all competitors act under the principles of honesty and credibility and regulate free-riding conduct that may disturb market order and create unfair business advantages. Article 6 of the law prohibits unauthorised use of identical or similar commercial marks to others’ prior marks, trade names and product names that may mislead consumers. The Criminal Law provides for criminal liabilities of trademark infringement. From 2004 to 2011 the Supreme People’s Court, the Supreme People’s Procuratorate and the Ministry of Public Security jointly issued various judiciary interpretations and opinions to elaborate on criminal prosecution and liability standards. The Supreme People’s Court issued various judicial interpretations to elaborate on the application of the laws. The Beijing High People’s Court and various provincial high courts have issued guidebooks on adjudicating trademark cases. These regulatory documents provide practical guidance to practitioners. Although China is not a case-law country, leading or representative cases increasingly influence how local courts render decisions. Since 2011 the Supreme People’s Court has released 96 guiding cases, among which five were trademark-related. Guiding cases have practically an equivalent effect as judicial interpretations. In the most recent guiding case, the court established that infringement litigation based on trademark rights obtained in bad faith against fair trademark use by another party is abuse of litigation rights. This essentially provides a new weapon for legitimate trademark owners whose trademarks are hijacked to fight back with when facing malicious lawsuits. registration and use of domain names that are identical or similar to the registered trademark to conduct e-commerce business of relevant goods, which is likely to cause confusion. A prior registered well-known trademark owner may sue an infringer to prohibit use of a latter registered trademark, even if the latter mark is registered on identical or similar goods. It will constitute trademark infringement if the latter registered trademark is used beyond the scope of designated goods, or if the defendant does not use the registered trademark in its registered form, but rather dissembles the registered trademark, uses it in combination with other trademarks or changes the registered trademark’s distinctive parts in use. The causes of action for unregistered trademark owners are more limited. Only if the unregistered trademark is a well-known trademark may its owner sue for infringement and prohibit use of identical or similar trademarks on similar goods. The Anti-unfair Competition Law could provide additional protection for unregistered trademarks. Under Article 122 of the Civil Procedural Law, where a civil dispute lawsuit lodged by a litigant is suitable for mediation, mediation will be conducted first, except where the litigant refuses. In practice, to ease heavy caseloads, some courts set up mediation panels or centres which require mediation before cases can officially enter litigation proceedings. For instance, the Beijing Dongcheng and Xicheng District Court, the Shanghai Pudong District Court, the Shenzhen Intermediate People’s Court and the Shenzhen Nanshan District Court all ask plaintiffs to enter the mediation proceeding first. Only when the dispute cannot be solved by mediation, will the courts accept the case. Pre-litigation mediation can work both ways. On the one hand, mediation may substantially reduce judges’ workload and settle disputes quickly and effectively. While on the other hand, if the plaintiff has no intention of settlement, mandated pre-litigation mediation may alert the defendants at an early stage and the plaintiff may involuntarily lose its initiatives. In August 2018 the first trademark dispute mediation centre was established in Beijing. In the future, more trademark disputes may be resolved through mediation. There are no special IP arbitration institutions in China. Arbitration is not commonly adopted to resolve trademark disputes, unless the parties have had previous contact and signed an agreement containing an arbitration clause. There is no easy and definite answer as to which level of court is the first-instance court for trademark cases. District people’s courts are at the lowest level and some district courts can adjudicate first-instance trademark cases if specifically authorised by upper level courts. Intermediate people’s courts and high people’s courts could both adjudicate first-instance trademark cases if the damage claims meet certain thresholds. Second-instance court judgments are final and binding. Besides the normal four court levels, specialised IP courts, IP tribunals and internet courts have been established in the past few years and have contributed to professional adjudication of trademark disputes. Since 2014 three specialised IP courts have been established in Beijing, Shanghai and Guangzhou. These specialised IP courts are equivalent to intermediate people’s courts and hear appeal cases from district people’s courts. They have exclusive jurisdiction over trademark civil cases involving recognition of well-known trademarks within Beijing, Shanghai and Guangdong Province, respectively. Among them, the Beijing IP Court has exclusive jurisdiction over first-instance administrative lawsuits involving trademark registrability or validity. In the past two years, with the ongoing judicial reform, specialised IP tribunals in 16 economically developed provinces and areas (including Wuhan, Nanjing, Suzhou, Chengdu, Hefei, Ningbo, Hangzhou, Fuzhou, Jinan, Qingdao, Nanchang, Shenzhen, Xian, Tianjin, Chongqing and Changsha) have been set up to handle IP cases. IP tribunals are specialised units within district people’s courts or intermediate people’s courts. Internet courts were newly established in Hangzhou in 2017 and Beijing in 2018 for the convenience of hearing cases online. They have jurisdiction over disputes arising from online infringement and transactions. Almost all litigation proceedings (including filing a complaint, submitting evidence, service and even trials) are completed online. Forum shopping is not available for administrative litigation. All first-instance administrative litigation regarding trademark registrability and validity will be heard by the Beijing IP Court and may be appealed to the Beijing High People’s Court. By contrast, forum shopping is available in trademark civil cases. Courts at the defendants’ domicile, places of infringing acts and places where infringing products are stored, seized or detained by administrative authorities have jurisdiction over infringement cases. Places of infringing acts include where infringing acts take place and where the outcomes of infringing acts occur. Typically, a brand owner will sue a major infringer together with a distributor, in order to establish jurisdiction in the court where the distributor is domiciled. There is much to consider when choosing a litigation venue. Specialised IP courts and IP tribunals are more capable and experienced in handling IP disputes. In addition, courts in more economically developed provinces, such as Zhejiang and Jiangsu, are more pro-intellectual property and tend to grant higher damages. Where a plaintiff has a difficult case or wants to build a landmark case, it is recommended to go to the IP courts or IP tribunals. The downside of choosing IP courts and IP tribunals is that the judges may have overwhelming caseloads, resulting in delays in rendering judgments. Damages in civil infringement cases will be the actual losses that the plaintiff suffers as a result. If actual losses cannot be ascertained, damages may be calculated based on any illicit profits that the defendant earns from the trademark infringement. If the actual losses and illicit profits are unknown, damages may be based on a reasonable amount of licensing royalties. Eventually, if none of the above can be ascertained, courts may award damages of no more than Rmb3 million based on all relevant facts. However, according to several judicial interpretations and judicial opinions, courts may go beyond the statutory Rmb3 million limit and grant substantially higher damages if supporting evidence is available. If trademark infringement is malicious and results in serious damages, the payable damages could amount to up to three times the above calculation. The policy trend encourages a tough attitude against IP infringers. Beijing, Shanghai and Shenzhen, among others, have vowed to protect rights holders. Prime Minister Li Keqiang also emphasised that IP protection should be enhanced and punitive damages encouraged. Infringers should be punished until the infringing business becomes bankrupt. This harsh policy is good news for brand owners. Reasonable expenses, including transportation fees, evidence collection and attorney fees, among others, may also be recovered. In a patent litigation case in December 2016, the Beijing IP Court fully supported the plaintiff’s claims for reasonable expenses of Rmb1 million. The plaintiff submitted legal service agreements, invoices and timesheets to substantiate its claim. This is a landmark case because, for the first time, the court acknowledged and supported legal fees charged at hourly rates. Traditionally, courts are reluctant to support full recovery of reasonable expenses, especially high attorney fees. However, from this case on, the courts’ attitude has been gradually changing. The court can grant injunction relief including interim injunctions and permanent injunctions in trademark litigations. At the plaintiff’s request, courts may grant permanent injunctions to prohibit defendants from future infringing actions. Interim injunctions include injunctions filed before and during litigation. A trademark registrant or third party may apply to the court for a pre-litigation injunction to cease alleged infringing actions. To obtain interim injunctions before or during litigation, the applicant must prove the urgency and necessity of granting interim injunctions. In other words, the applicant must prove that it will suffer irreparable damages in the absence of injunctions. It is incredibly difficult to prove ‘irreparable damages’, as the courts may believe that damages can be fully resolved with monetary compensation granted in the final judgment. There are four sections of evidence necessary to build a trademark infringement case. Evidence of trademark registration rights: Trademark registration certificates are the prima facie evidence that the plaintiff holds valid, up-to-date trademark registrations. If the trademarks have been assigned or renewed, the plaintiff must provide the assignment records, certificates or renewal certificates. Evidence of trademark use and fame: Trademark use is not mandatory for establishing trademark infringement. Nevertheless, the plaintiff should submit evidence of trademark use to avoid the defence of non-use. When facing infringement claims, a defendant may adopt the defence that the plaintiff has not used its registered trademarks and thus no damages are incurred. If the plaintiff cannot prove use over the past three years, the defendant may be exempt from paying damages. It is advisable to provide evidence of trademark fame, because it is an important factor in determining the similarity of marks and goods. The more famous and distinctive the prior trademark, the bigger the scope of protection that it will enjoy and the more likely that the courts will find likelihood of confusion. It could also be inferred that a defendant has bad faith in using marks similar to a prior famous and distinctive trademark. Bad faith is not mandatory in trademark infringement, but it will be considered in the calculation of damages. Evidence of infringement: When detecting trademark infringement activities in the market, the plaintiff will usually do a desktop search to identify infringers and their backgrounds. If necessary and feasible, it can retain investigators to conduct an onsite investigation and the notarised purchase of infringing products. Onsite visits may help gather samples, promotion brochures, name cards, video recordings, product packaging and other material evidence to prove infringing trademark use. Key evidence of infringement should be either original or notarised; otherwise the defendants may easily challenge the evidence’s authenticity. Evidence of damages: The plaintiff will first bear the burden of proof to show damages, based on actual losses, illicit profits or licensing royalties. Where the rights holder has presented as much proof of its claims as possible, the courts may order the defendant to provide its accounting books and financial documents. If the defendant refuses to submit such information, or submits false statements, the courts may determine damages with reference to the rights holder’s claims and proof. In recent years, legal practitioners in China have been trying to refine the calculation of damages by involving economic experts and presenting as accurate numbers as possible. The courts are more likely to grant high amounts of damages if the plaintiff can produce a solid basis and formulas to substantiate the high claims. Survey evidence: Market surveys are admissible but not mandatory evidence in civil actions. They have referential values but are not decisive. Traditionally, courts are sceptical about whether market survey results are scientific and impartial because the research firm which conducts them is hired by one party. Recently, consumer surveys have been increasingly adopted to show market confusion or public awareness of prior trademarks. There is a high-profile trademark administrative case involving infringement of Michael Jordan’s name rights and the disputed trademark containing JORDAN written in Chinese. Michael Jordan retained a research firm to conduct a market survey with a notary’s presence on public cognition of Chinese transliteration of the surname ‘Jordan’. The survey results showed a high percentage of interviewees first think of Michael Jordan when seeing JORDAN written in Chinese. In addition, more than 50% of interviewees believed that the disputed mark was connected to Michael Jordan. The Supreme People’s Court admitted the market survey as evidence and acknowledged that the design was scientific. In this case, the market survey’s conclusion was authentic and had high evidentiary value. Expert witnesses are permitted in trademark cases. Legal experts are often engaged by parties to provide expert opinions on difficult or controversial issues. Sometimes, courts may also host seminars or request experts to submit opinions for consideration. Economic experts can also be helpful in ascertaining payable damages. The defendant may argue that its use is fair and legitimate. Where the prior registered trademark contains a product’s generic names, logos and models, or directly indicates product quality, raw materials, functions, weight and other characteristics, or contains a geographic name, the registered mark owner cannot prohibit others’ use in good faith and in a fair and non-misleading way. the defendant’s use must not create confusion among the relevant public. A distributor could defend that it has no knowledge of alleged trademark infringement and provide evidence that infringing products have a legitimate source. This defence only exempts defendants from paying damages. The defendant may still be held liable for trademark infringement and ordered to cease all infringing conduct. The defendant has a good defence if it has used the alleged infringing mark on identical or similar goods and services prior to the application date of the plaintiff’s registered trademarks and has accumulated a certain level of fame through use. If this defence stands, the defendant could continue use within the original scope of use but may be required to add proper marks for distinction purposes. Additionally, the defendant may argue non-infringement if it has existing prior copyrights, patent rights, trademark rights or trade names, among other things, that provide a legitimate basis for its trademark use. The defendant may be exempt from paying damages if the plaintiff has not used the registered trademarks in the three years before lodging the lawsuit. This defence means that the court will require no evidence of the plaintiff’s trademark use, unless the defendant brings up this defence. Burden of proof is on the plaintiff to prove minimum trademark use. A domestic party may file an appeal within 15 days of receipt of a first-instance judgment, while a foreign party may file an appeal within 30 days. Parties may still supplement new evidence during the second instance. The second-instance court will review fact findings as well as legal issues in the first-instance judgment. The usual timeframe from filing the appeal to rendering the second-instance judgment is six to eight months. The second-instance judgment is final and effective. In certain and rare situations, parties may apply for a re-trial of effective judgments within six months of the effective date. The upper courts will review and decide whether to accept the re-trial applications. For a re-trial application to be accepted, it usually requires new and substantial evidence that could overturn the effective judgment or clear mistakes in procedural issues, factual findings or application of law. In rare circumstances, the people’s procuratorates have powers to supervise adjudication of civil cases and may do so ex officio to protect against court judgments or by request. Steve Zhao is a partner at AnJie’s Beijing office. He is a top trademark litigator in China with 14 years’ experience. His expertise covers major and complex trademark administrative litigation and civil infringement disputes, copyright infringement litigation, unfair competition lawsuits, IP-related arbitration and trade secret infringement litigation. Mr Zhao has handled many influential cases which have been selected as outstanding by the Supreme Court, high people’s courts and state-level administrative authorities. Mr Zhao also has rich experience in dealing with trademark prosecution matters and represents clients in IP licensing and transactions to advance clients’ major business deals and initial public offerings listings. In recent years, Mr Zhao has expanded his practice area to include big data and privacy protection. Jinwen Han is a partner at AnJie’s Beijing office. His expertise covers trademark administrative litigation and civil litigation, copyright litigation, unfair competition litigation, domain name matters, commercial intellectual property and IP strategies. During the past 11 years Mr Han has represented multinational companies dealing with hard and complex IP cases. He represented Adobe and Autodesk in a copyright litigation which was selected as an outstanding case by the Beijing IP Court. 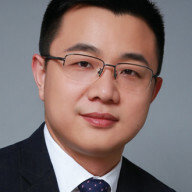 Mr Han is also experienced in acquiring trademark rights and assisting his clients in obtaining key IP rights in China. 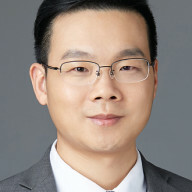 Based on his effective and professional legal service, in 2016 Mr Han was ranked in Legalband China 30 under 30 and was honoured as a rising star in dispute resolution in The Legal 500. Pei Lyu specialises in trademark, trade secrets, unfair competition litigation and general IP strategic counselling. She is extensively engaged in brand protection, prosecution and contentious matters and leads major litigations and managing trademark portfolios for various multinational clients and domestic companies. Many of the cases that Ms Lyu works on are complex civil infringement cases pertaining to clients’ key IP assets. She provides tailored strategies and action plans to address clients’ business and legal concerns.